The study of the character of God can be a dangerous endeavor. No other topic can stretch the mind and enrich the soul like studying the nature of the Divine, but this topic must be approached in humility and not as an end in itself. To suppose that we can master the knowledge of God like mathematics or physics is a grave mistake that will leave the proud heart cold and devastatingly disinterested, like a treasure hunter overlooking a priceless artifact because he is too ignorant to see its value. J.I. Packer says, “Theology is for doxology and devotion–that is, the praise of God and the practice of godliness.” The study of theology is a means to the end of knowing and loving God more deeply. As you read this study guide and spend the next 11 weeks studying, praying, and meditating on the nature of our God, pray for eyes to see, ears to hear, and a humble heart. God delights to be seen and known by those who love Him. What we truly believe about God will determine how we live and how we see everything else in our lives. Hide these truths deep in your heart and store them up for the days ahead when nothing makes sense except through the lens of God’s goodness. The above except is taken from our God Is ____ study guide written by Patrick O’Rourke, the small groups minster at Redeemer Church. The study guide was created to be a companion resource to the Sunday sermon series. You can pick up a copy this Sunday at Redeemer Church as our free gift to you. This totally original, one-of-a-kind study guide can be used individually, with your whole family, or in one of our community groups as a tool to help you mediate further on the character of God. In addition, we will be updating the blog regularly throughout the series with the first half of the week reflecting on the attribute discussed from the previous Sunday and then the latter half of the week we will be providing scriptures, video, and articles to help us all mediate on the attribute that will be preached on in the coming Sunday. 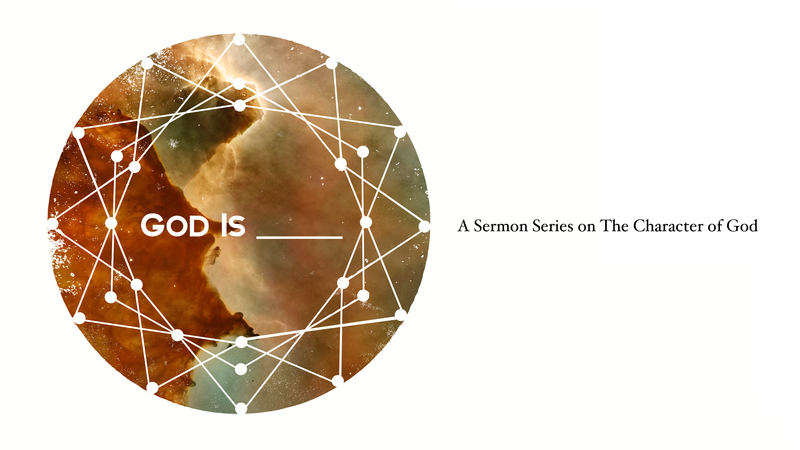 We are very excited for this series and would love for you to join us beginning Sunday, June 17 with the first attribute, “God is Knowable”. Services are at 8, 9:30, and 11:15.